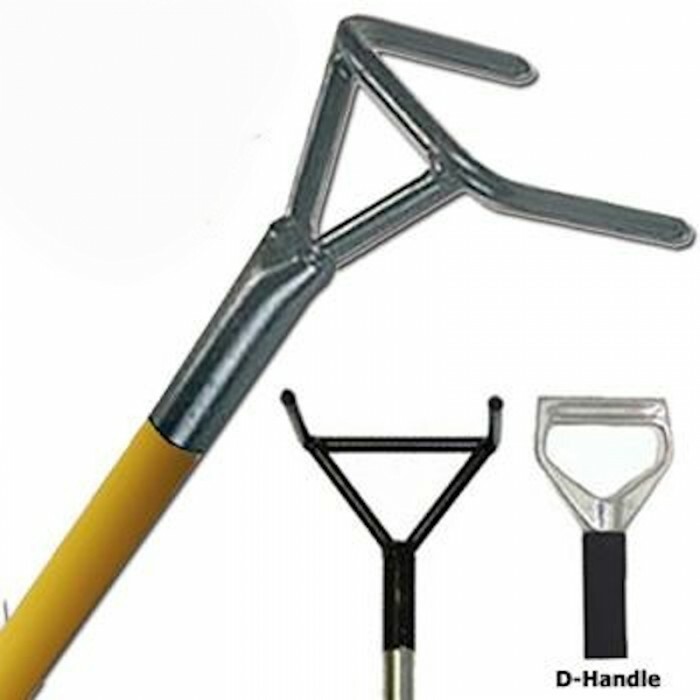 This hook was developed to find hidden fire in deep seated smoldering fires normally found in dumps or dempsey dumpsters. The normal hook just won't pull trash in large quantaties. Our trash hook, because of it's two large six inch pointed prongs, will grasp debris in huge chunks.